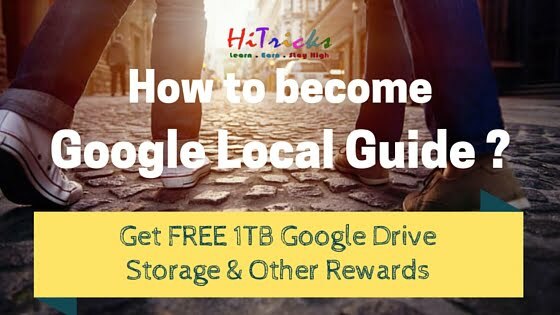 Home » Android » How to Become a Google Local Guide and Get Rewarded? Open Google Maps or Google Earth and browse to American or European countries. Zoom into cities like New York or Miami and browse any area of your choice. You will be astonished to find the locational details to be so accurate, that you can virtually visit every street of those cities. You will find addresses of every local shop, local building, local offices, markets, parks, etc. Can you tell the reason behind it why is everything so detailed there? Who created the Maps with such an accuracy? No. They didn’t. They just made the Maps. Not the landmarks. The markers are added by thousands of ordinary people like us. Few weeks ago, I went to Acropolis Mall, Kolkata. The Mall was newly opened and hence lacked locational depth and details in the Google Maps. After our trip, I wanted to write a review about the Mall so that others wanting to visit the mall can check on the reviews. While writing my review of the Mall, I discovered that the location lacks pictures on Google Maps. I casually uploaded a few images of the Acropolis Mall, which I took during that trip and almost forgot that incident. To my surprise, I found that my uploaded pics had got more than 10k views. A new record for me on the Google Maps. This was when I realized that thousands of people rely on Maps for going to a new location, and most of them like to take a sneak peak of the area. They search for already uploaded pictures. While Google is working hard to improve its Maps and Local Searches, it is us who can help Google achieve it. And that’s nothing hard. 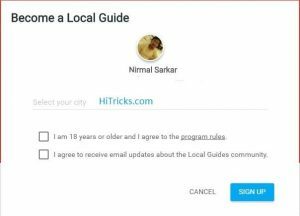 Here in this post, I will discuss in details the step by step procedure to join Google Guides and become a Local Guide at your area. I will also discuss how will it benefit you, and tips to become a good Local Guide. Why become a Google Local Guide? So before you even start your journey as a Local Guide, a question may arise in your mind that why should you become a Google Local Guide? So, here are some cool reasons why you should become one. To be a Google guide, you need not visit a tourist spot to take pictures and give reviews. Nope. You can start from your home. Just check out your home on Google Maps. Check the street that runs in front of your house. See how many landmarks you can find on the Map. Is everything available on Maps? From a Grocery Store to a Local Club, search for everything. Are those available? No? Then you have got your work. You can help improving your area on Google Maps by adding up new landmarks on the Map. Once more and more people starts doing it, we will also have a detailed Google Map. Ah! Work full of responsibilities does not come for free. Google understands you need something to work for. Hence, Google is ready to pay you for becoming a Guide. Here is a list of the rewards you can expect from Google. Become eligible to enter into exclusive Google groups, hangouts, and contests meant especially for Google Guides. Become a local event organizer to plan a meetup at your location and post it to the Google Events Calendar. Get early access to new products and features made by Google. Build your community of Google Guides and connect with them anytime. Get a Google Guides exclusive badge beside your profile on Google, so that others can recognize you as a guide. Get invites to join Google official events and shows in your city, and connect with them directly. Upgrade your Google Drive Storage from the 15GB free one to a whopping 1TB. That’s probably the best part. Having an online storage is great, having a trusted online storage is more essential. With the Google Guides program, you can enjoy yourself a 1TB of free storage right at your favorite location, Google Drive. Get featured on Google Online Video channels as an exclusive Google Guide. Become a part of Google Insider team, who tests every new product of Google. So, just, for example, the next time Google releases a Nexus device, you will be getting it right at your home for testing purpose! Attend Google Local Guides summit. Guess what? These summits are international, and you get invited to join them. Google bears all your costs. Great, isn’t it? The biggest part of it is the fun and adventure of becoming a part of the Google International Community and being proud to be one of Google family. So, don’t think more. Just jump on this incredible opportunity. If you have the scope, you must be a Google Local Guide. Joining as a Google Guide is easy. Just follow these steps and you are ready to go! Firstly, make sure you have your own professional Google Plus Account. 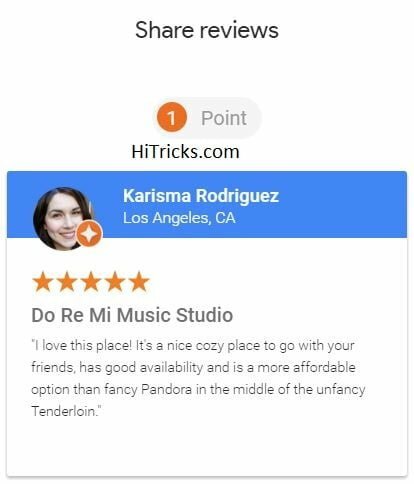 Because once you start adding value to Google Maps and try to make your community, the first thing other guides will want to do is to look into your Google Plus Profile to make an overall idea who you are and what you do. Often we just create a beautiful Facebook Account and ignore the rest, but making a professional Google Plus account is equally important due to these reasons. You will be surprised to know how many people don’t even care to use a profile picture on Google Plus. So, set up your best looking Google Plus Profile. Next, Visit Google Local Guides Website. Click Join Now button. On the next page, you will be asked to Select your City. Start typing the name of your city, and it will show you a drop-down menu, from where you can choose your city. It will also ask you to accept that you are at least 18 years old, and you accept the terms and conditions for the program. 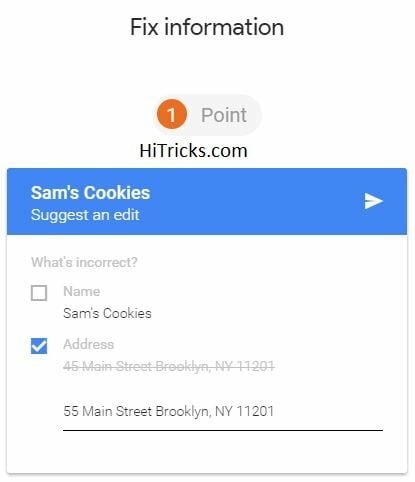 Optionally, it will also ask your permission to send you occasional emails regarding Google Guides Special Opportunities, Events, etc. I recommend you accept it; else you might miss out important events in your city. That’s all. 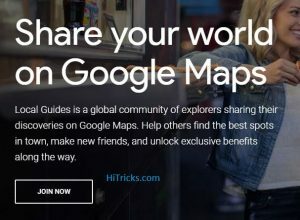 Congratulations, you are now officially a Google Guide, and you can start contributing towards Google Maps, and carve out your image in the Community. You can see Levels and Achievements on that page. It will help you keep track of your progress as a Guide. You can check how many points you earned. Below I am explaining the points system in details, along with the list of contributions you can do to earn points and level up. Google Guides System is divided into 5 Levels with 500 Points. 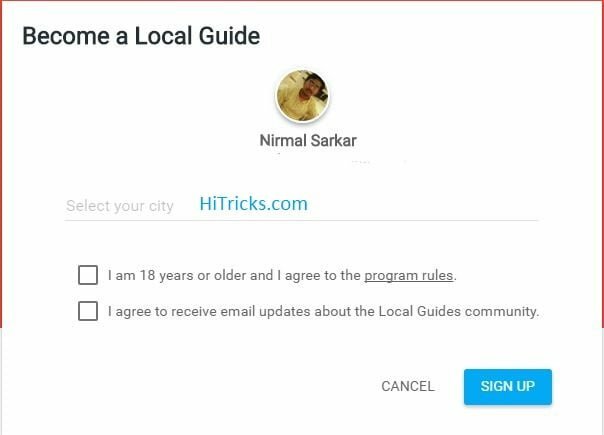 Sign up for Google Local Guides Newsletter. Get a chance to entering Contests available exclusively to Google Guides. Promote your meet-ups on the Local Guides calendar. Get a Google Local Guides Badge. Get noticed on Google Maps. Connect with other Local Guides in the Google Local Guides Community. Be a Moderator at the Google Local Guides community channels. Upgrade your Google Drive Storage from 15GB to 1TB for Free. Be a Google insider: Become eligible for Trusted Testing opportunities. Access Google products and features before they are made public. Become eligible to attend the International Local Guides summit. There are lots of unusual experiences associated with Google Local Guides. 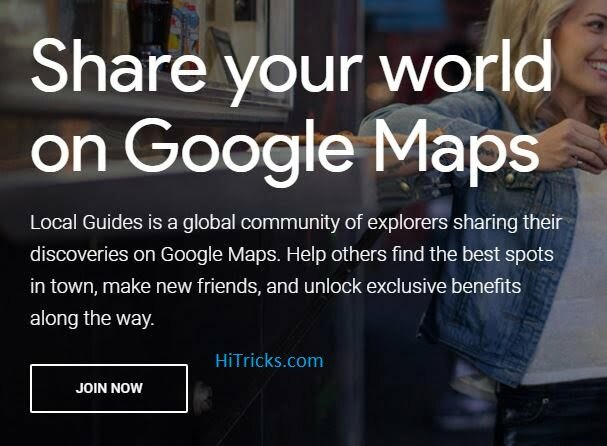 So, start contributing towards Google Maps and start getting rewarded. Want to know how you can contribute towards the betterment of Google Maps? Read on. How to Earn Points in Google Guides? Earning points within Google Guides is easy. Each type of contribution is worth 1 point, with a maximum of 5 points per place. I am breaking down it in details. So, as you can see, you can quickly start gaining more and more points once you start being an active contributor at Google Maps. Hope you have fun creating your followers through Google Guides. Below are some tips to level up faster than others. Go through them. Always remember, you are not the alone Google Guide, not even for your locality. It may be possible that more local guides around you are also working hard to get noticed just like you. There is a constant competition always going on within the Google Guides. So, Gaining more and more points can be helpful for leveling up before the other guides in your locality does so. Follow these simple tips. By now probably you have already known that Google Guides Community is full of serious people who are very active in contributing towards the Google Maps professionally. So, you cannot just beat them by being a casual guide. You need to accept certain responsibilities. Don’t upload inappropriate pictures just for the sake of earning points. Eventually, you will get caught by other Local Guides around you, and once they flag your contribution, it will get removed sooner or later, and you will lose your points. What’s the gain if you lose your collected points? Also, note your Google Account is always linked with this program. So, violating terms may affect your Google account in turn. So, no cheating. Many localities aren’t developed in details in the Google Maps. So, the best place to start contributing is your locality. Here’s a tip on how to do it successfully and gain maximum points. You don’t even need a professional digital camera. Just take your Mobile and go out. You must be knowing your locality well and good. Start with the shop nearest to your house. It may be a grocery store or a simple Mobile Recharge Shop. Talk with the shopkeeper and say that you want to take a picture of the store. Don’t forget to tell them that they can be located from Google. They will agree. Take one or two snaps with your Mobile Camera. You must take a picture of the Shop Banner with the Shop name and address. If shop banner not available, ask the exact address of the store and note it down on your mobile. You are done. Now you can use the Add New Places feature to add up a new place. Find the location using GPS on your Mobile or locate manually. Insert the name and address of the site and upload the photos to support it. Soon, it will be moderated by other Google Guides and, needless to say, if you upload real pics with the actual address, your contributions will be approved quickly. New keep continuing this until you cover up some decent area of your locality. Just invest an hour on this every Weekend and you will be good enough to collect many places and add them up on Google Maps. Again I am repeating, there are plenty of vacancy on the Google Maps, fill it up. If you don’t find many places to add up, you can just contribute to the actual places already marked on Google Maps. Suppose you visited a Shopping Mall and took some pics around. You can always upload them after you come back home. It is likely that more people have already uploaded pictures, but Google Maps always asks for contributing more and more pictures. 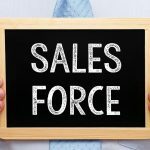 In this way, you can earn without doing the hard work of adding up new areas. Though, the former one is recommended to make more points quickly, as adding up new spots enables you to earn more points than the others. What could be a better way of contributing towards Google Maps than uploading your trip pictures? Open your tour photo albums. You must be having hundreds of pictures of places. It’s time to showcase your photos to the world. Just Identify the locations on Google Maps and start uploading them. Google will also periodically send you updates regarding how many views your pictures have drawn. In case it’s a famous tourist spot, you can expect a good traffic to your pictures. Keeping your mobile phone location settings on can help you get some extra points. 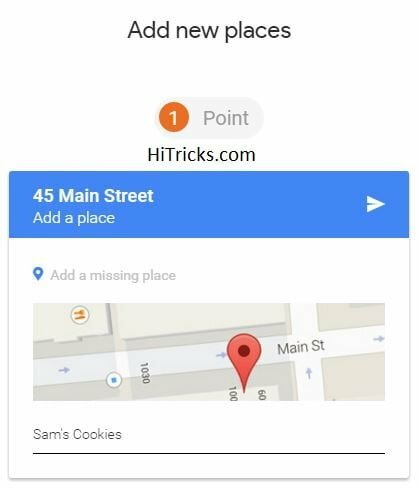 Here’s how: When you keep your location settings on, Google always searches for nearby places that you are visiting which needs improvements. When you open Maps, later on, it will suggest you some places that need improvement. 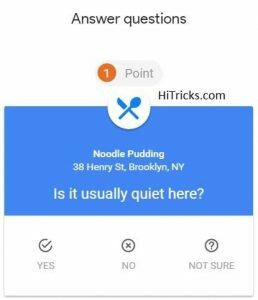 Suppose you visited a restaurant, then on Google may ask you general Yes/No Questions based on that area which you can respond to and earn points. For each place, you earn 1 point. You just need 500 points for completing the whole Google Guides journey. So how do you gain 500 points? 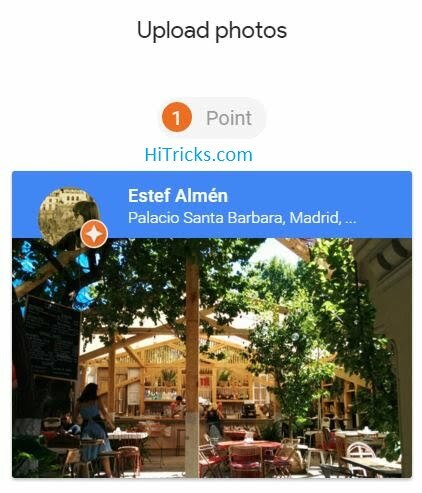 Well, find out 250 locations that you can improve and try to earn at least 2 points per site which will give you 500 points easily. Well, I am not telling this will happen in a day or a month. This may take even up to some months to fulfill, but you can be sure of it. Try to find out places you can improve, and set your limits. You don’t need to be Google; you just need to be a Guide for 250 places only. Follow this and you will easily get to 500 points. All the best! Well, it was a lengthy and descriptive post. But I can assure you that it’s worth it. 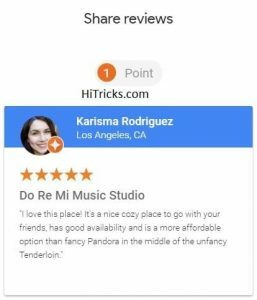 I found no good post regarding this Google Guides program explaining Top to Bottom in one post. So I tried my best to provide you with every information. Hope you enjoyed reading my post on Google Guides. It’s time to share the post on your Social Networks. Sharing is caring, and I am pretty sure that an informative post like this deserves it. Isn’t it? Use the share buttons to share the post with your friends on Facebook or WhatsApp. Thanks for reading. Have any questions? Good. I am listening. Just drop a comment below and I shall try my best to respond you. Time to say bye bye. Well, I will be back soon with newer posts, if you don’t want to miss them, you can subscribe below. Till then, check out some of my old articles. Also, I have been writing casually for years but want to become a more serious blogger and monetize my content. Would you mind creating a guide for someone with limited technical background, limited startup funds, and limited time? Also, any suggestions for becoming a domain and/or hosting reseller for someone with limited technical background? 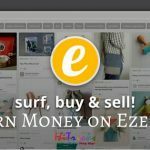 I have a zillion domains I purchased when trying to think of biz names and figure I might be able to earn a few bucks to get started with professional blogging. Right now I’m just getting getting started with affliate links. You are using Newspaper theme , right ? . is there any way to get this theme for free ? Please tell me , I am a new blogger. Which tool are you using to create your blog post thumbnails ? They really look awesome!